Beautiful spring water from the English Lake District.The Secret's in the Source Just below the surface of the Cartmel Fell, in the unspoilt natural beauty of the English Lake District, lies a layer of peatformed from the remains of an ancient Willow forest. As rain water travels through the peat it absorbs Salicin, found in many beauty products for the skin. The water is then filtered through Limestone adding significant Calcium content. 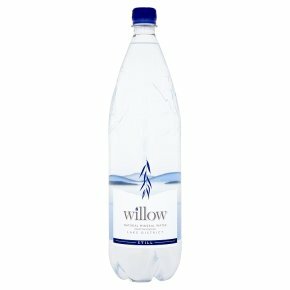 It is this that makes Willow Water a great way to stay hydrated.